Are you looking for Flow Energy reviews? Find out about Flow Energy in this guide. Founded in 2013, Flow Energy aims to offer their customers friendly customer service, 100% renewable options and they promise to pick up the phone in under 30 seconds. They currently have a high customer rating, with 4-stars on Trustpilot out of almost 4,000 reviews, making them one of the most positively reviewed independent energy suppliers in the UK. Flow Energy currently only offer two types of tariffs, this table seen below shows you how much your annual fee might be if you live in an average three bedroom house, calculated based on the size and type of the house rather than an estimated usage. To get a quote, all you need is this information to hand. As well as supplying electricity and gas, Flow Energy also offer these benefits to their customers. They automatically send meter readings to your supplier so they can charge you accurately for your energy, saving you time and money. Flow Energy has a positive customer service reputation, with over 60% positive reviews. However, there are some negative reviews regarding their communication which according to reports could be improved. I am so pleased with the service I am getting. The attention to detail my monthly updates and a good deal… thank you. Nearly nine weeks after moving into a rented property and still, no direct debit set up they are effectively putting me in debt. Having spoken to 4 members of staff, I am still clueless about when the off-peak electric timings. One had no clue at all the others gave me different timings. Not happy with the service at all. Flow Energy generally has a generally very positive customer reputation, with a 4-star rating on Trustpilot. 61% of the reviews are positive, and only 9% fall within the negative category. Although online reviews aren’t always reliable or accurate, it is still critical to consider them when you are debating whether to switch energy suppliers. Simple meter reading process excellent service and cheaper the big boys. 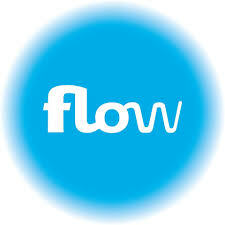 This morning (13th August) we have had 20 phone calls in 40 minutes from Flow Energy about renewing our account. My wife repeatedly asked them to stop. When she put the phone down, it rang again almost immediately. My wife became extremely stressed. Flow Energy is a good choice if you rate customer service highly and want to benefit from their choice of a variable or fixed tariff. Flow Energy offers their customers 100% renewable energy as well as highly rated customer support, which for many customers is essential and worth paying a bit extra for your energy. They also seem to be developing new tariff options, giving their customers even more choice and control over their energy.